Although it plays no apparent part in the story, the Hattori building is significant for a couple of reasons. As Wikipedia notes, it housed the Tokyo Post Exchange for the US Army at the time the film was made, and was therefore one of the main channels through which western goods entered Japan. But even more significantly, Sorensen points out that the Hattori building was also the home of the occupation film censorship board, which would make it one of the main channels through which western ideas entered Japan. Now, what I’m wondering is whether a link has been made between these two Hattoris — the man and the building — and what the significance might be? 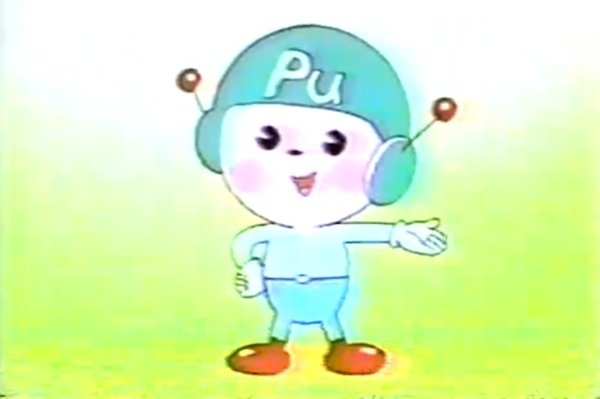 It seems like too much to be a coincidence that the two share a name, so I am quite surprised that I could not find that link made in anything that I could find written on the film. My resources are of course limited, so there may well be something, and I would be very interested to hear about it. Sorensen actually writes fairly much about both the man and the building. 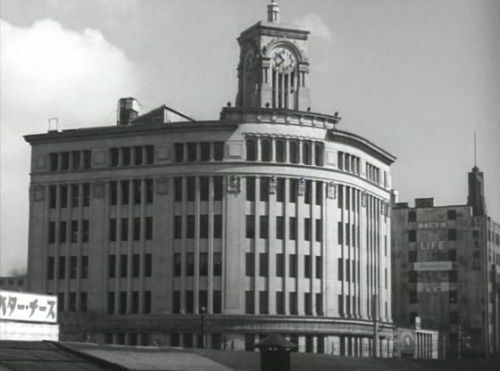 He suggests that Ozu’s shots of the building are a sly way of indicating to us what the film is really about, namely Ozu’s direct criticism of the occupation and western influences. 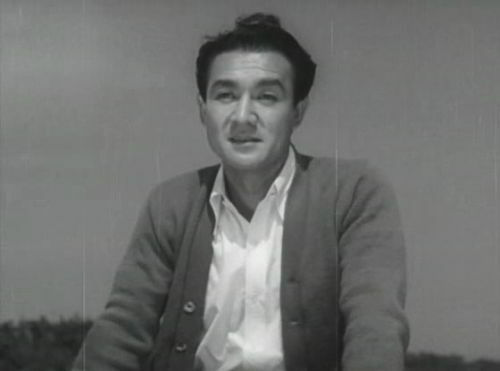 He gives a similar reading of the Hattori character, describing him as an example of the kind of corrupting western influence that Ozu was denouncing in the film. Hattori is, after all, spending what looks like rather flirtatious time with Noriko, while already engaged to be married to someone else. 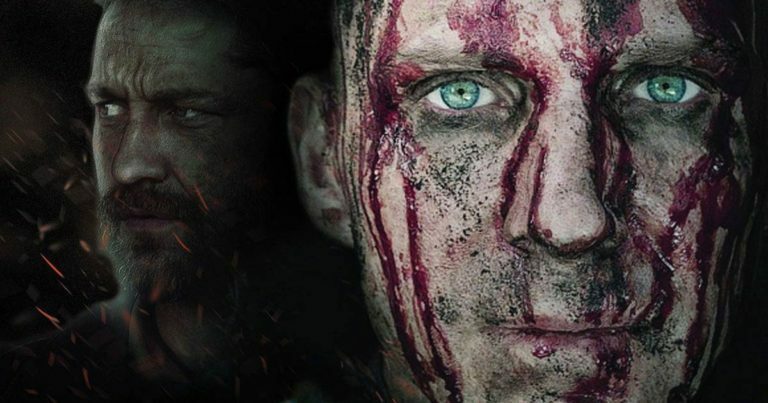 Although Sorensen doesn’t seem to link the two Hattoris, seen in this light the link would appear quite obvious, and the film’s core message clear. This was actually also my first reaction, but then I realised that we have to take into account the man whom Noriko ultimately marries, Satake. Their marriage is what seems like a very “proper” traditional arrangement, something that Ozu under Sorensen’s interpretation would be promoting in the film, while denouncing the western counterpart. Yet, Satake is described to us as someone whose face resembles that of Gary Cooper. Had Ozu simply intended to criticise western (marriage) practices, he would surely have rather picked Noriko a husband who is thoroughly Japanese, with no resemblance of an actor best known for roles in that most American of American film genres, the Western. Satake of course resembles Gary Cooper only partially: we are told that only the lower half of his face is like Cooper’s. His mixture of Japanese and American qualities suggests that those interpretations of the film which consider it as showing “that Japanese tradition can be reconciled with the new liberalism of the Occupation era” (David Bordwell, Poetics of Cinema, 307) are more appealing than Sorensen’s. How do we then reconcile the link and the apparent criticism of the two Hattoris? It could be significant that of Satake’s face, it is specifically the lower half which resembles Cooper’s, as that is the half with the mouth (the action), leaving the brain (the initiator) wholly Japanese. One interpretation could then be that the film is not so much critical of the modernising/westernising influence present in post-war Japan, as its criticism was rather directed towards how it was done and how that method was affecting Japanese society. This is why the film is full of symbols of traditional Japanese customs and practices like tea ceremony, noh theatre, Kyoto, and even a reference to Nara. That tradition is the background from which the film wishes modernising to be made. Not from the American-controlled Hattori building, as Hattori buildings create Hattori-like characters who, while perfectly good people, exhibit questionable conduct and as Noriko’s friend’s example shows, also questionable success in marriage, one of the central building blocks of Japanese society. Ultimately, however much one would like to cling to the past like Noriko does, it is clear that change must always come, rather like the waves which hit the beach in the very last shot of the film. This change is also painful, and will leave some of the culture and traditions behind, just like Noriko ultimately has to leave her father. And the change will take time, at least the 5 to 10 years that Noriko’s father refers to when he talks to her about marriage and building happiness in a new life. But even then change is inevitable, and Late Summer is perfectly aware of this. 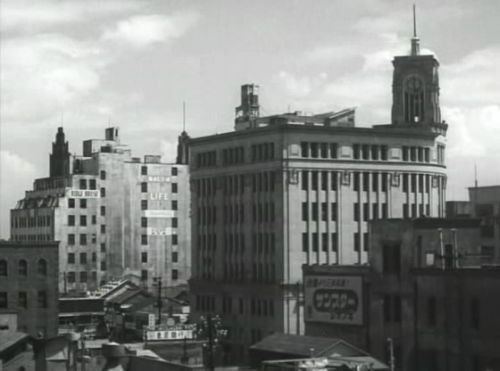 This is fascinating, I was wondering about the significance of that building, it seemed a very specific choice by Ozu (there didn’t seem any narrative reason to keep showing this very distinctive office building). 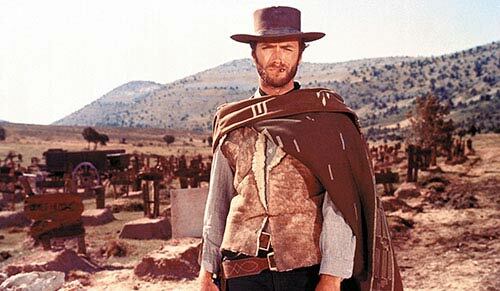 I find it a bit of a stretch though to link the character Hattori to some notion of the lure of the west. He is shown, of course, as a very pleasant, gentle person (in fact, this is exactly how Noriko describes him). His flirtatious invite to Noriko to the concert was of course on the borderline of being unfaithful to his fiance, but it was hardly a major offence, especially as it was obvious they both got on very well. And if Noriko did take up the invite and the story then followed an arc of a love affair between them, I think they are both such likable characters that any audience would forgive them, and I don’t see that it would have been interpreted as giving in to western influences in a negative way (bearing in mind that later Ozu films frequently paired off loose ‘modern’ girls with rarely seen American boyfriends). I wonder if maybe this was a sly little idea that Ozu introduced, but didn’t follow through with (by making Hattori an unpleasant character) under fear of the censors. It is striking though that while Hattori is very much a traditional and honorable young man in most scenes, in the beach segment the film is loaded with western signifiers – the bridge sign in English (with the 35 tonnes* sign a clear reference to US military vehicles) and of course the Coca Cola sign. It could easily be read as a danger for Noriko, that this Hattori was going to lure her into the degradation of western ways, except of course that the whole scene is so innocent, and Hattori is such a likable and (mostly) honorable man. We should never forget of course that Ozu made his reputation making comedy films. I suspect that even in his most serious films he enjoyed a little tease with the audience, critics, and indeed, the censorship board. So I wonder if all these are quite deliberate little in-jokes, without any greater significance than his wish to annoy over-serious critics and of course the much disliked censors. Yet, Satake is described to us as someone whose face resembles that of Gary Cooper. Had Ozu simply intended to criticise western (marriage) practices, he would surely have rather picked Noriko a husband who is thoroughly Japanese, with no resemblance of an actor best known for roles in that most American of American film genres, the Western. My mind may be playing tricks on me, but I think there is more than one reference to Gary Cooper in Ozu’s films of the period. Certainly in other Ozu films, when female characters are just about to pass the Bechdel Test, they then step back and start comparing men to American film stars. I guess this was a wry acknowledgement by Ozu of the attractiveness of Hollywood to ordinary Japanese, maybe particularly Japanese women. But I think (and I haven’t read Sorenson yet), the idea that this was a deliberate contrast of ‘good Japanese/bad western’ in Ozu’s films doesn’t really stand up to close scrutiny, as there is never a clear association made with western features and malign influences. It could be due to censorship, but as we’ve seen, Kurosawa was much more overt in his use of western signifiers and associating them with negative connotations. If Kurosawa managed to get away with it, presumably the much more establishment Ozu could also have pushed the censors a little harder. 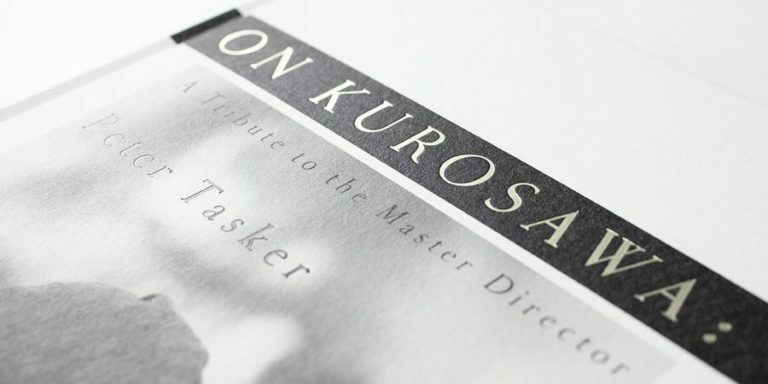 I find this somewhat ironic given the traditional view of Kurosawa as the more ‘western’ director while Ozu is supposedly the defender of traditional Japanese traditions. *having written this it just occurred to me that this is the origin of the mysterious 35 Rhums (shots of rum) in Claire Denis’s adaption of Late Spring. Now that I think of it, didn’t the aunt say that Satake’s name meant ‘bear like’ and so brought up an image of a very hairy chest? She visibly shuddered when saying that. If anything, it seems that Satake is described in terms more appropriate to a westerner than a Japanese. In fact, I was wondering at that scene whether it was intended to suggest that the Japanese needed to swallow an instinctive disgust of western things (like hairy chests perhaps!) to go forward into the future. Thanks for your comments, Ugetsu. I think that my approach to the film may be too much influenced by Sorensen. When I reviewed his book, I read it through without having seen all the Ozu films, including Late Spring. Like you, I prefer watching a film before reading anything about it, but in this case the opposite happened. Yet, there is something about the portrayal of both Hattori and Noriko’s divorced lady friend which makes me think that they were not intended to be seen as entirely sympathetic characters. The lady friend in particular comes across to me as trying a little too hard to be “modern” — the cake that she has made is a perfect example. I think that I need to watch the film again, with fresh eyes. I think you are right that the lady friend is not so sympathetic. Apart from the fact that her insistence on Noriko getting married is intensely irritating, she seemed a very shallow person. But it is interesting in a way, and perhaps this was Ozu’s point, that marriage isn’t necessarily the ‘traditional’ option. In fact, he may well have been intimating that remaining single was in some ways more a part of the Japanese character (in a later film with Hara as and older, widowed Noriko, (Early Summer I think), I think this point is made more strongly). Ozu I think seemed to wish to put across the point that the choice of marriage or not was not a case of traditional vs modernity or Japanese vs western as a lifestyle choice. It was very personal to Noriko and her father. 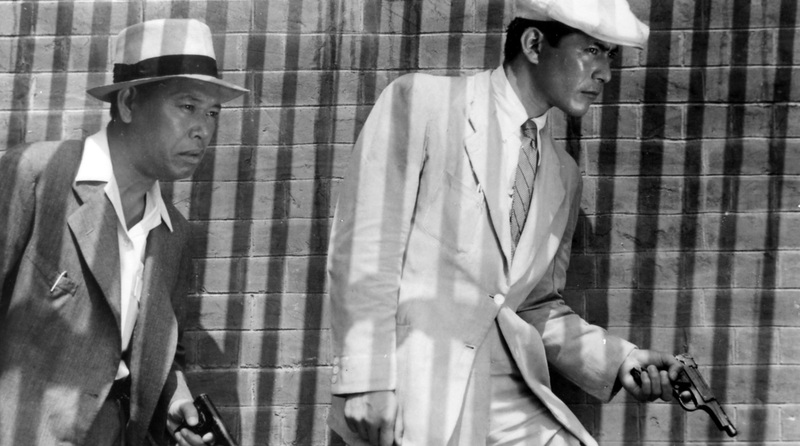 Incidentally, this link of Dragnet Girl (1933) shows clearly that Ozu was as fond as anyone of American influences! I’ve come to the conclusion that Sorensen has a bee in his bonnet and tends to twist the facts to suit his theories rather than the other way around. He’s a great resource for information on how censorship worked during the Occupation, but I don’t trust his conclusions about it. I thought what Hattori did in inviting Noriko to the opera was fairly innocuous. In and of itself, it was no more forward than the main character in No Regrets having dinner with her prosecutor friend. I thought Noriko’s friend was painted more as a potentially corrupting Western influence.Even she, however, wanted Noriko to marry, just as she wanted to remarry. I thought Noriko’s friend was painted more as a potentially corrupting Western influence.Even she, however, wanted Noriko to marry, just as she wanted to remarry. This is what I find interesting about the ‘friend’ character. She does seem to be ‘corrupting’ in the sense that she is westernized and materialistic. But her sole aim in life seems to be to persuade Noriko to marry, which should, in terms of a conservative worldview, put her on the ‘good’ side. This is why I think that perhaps Ozu was slyly suggesting that Noriko’s devotion to her father and disinterest in marriage was in some way’s more noble or even ‘Japanese’ than the alternative. For a film maker who is often considered quite conservative and paternalistic, Ozu throughout his films always seems quite ambiguous about marriage itself, and its hard not to look at his own biography for reasons for this. I think perhaps Noriko can be seen as a stand in for Ozu himself.